The other 11 countries represented at “Brave 17” are Afghanistan, Bahrain, Brazil, China, France, Ireland, Kuwait, New Zealand, the Philippines, South Africa and Wales. The only fighter to represent South Africa in the upcoming MMA event in Lahore is J.P. Buys, 22. Hailing from Johannesburg, Gauteng, South Africa, Buys is making his Brave CF debut at “Brave 17.” In the eighth bout of the evening, he will compete in the bantamweight division against Gamzat Magomedov, 22, of Bahrain. Before becoming a professional MMA fighter, Buys was a champion in amateur wrestling. As an amateur MMA fighter, he was undefeated with 6 wins. Buys currently holds a professional MMA record of 5 wins and 2 losses. He trains at the Fight Fit Militia with Richard Quan. 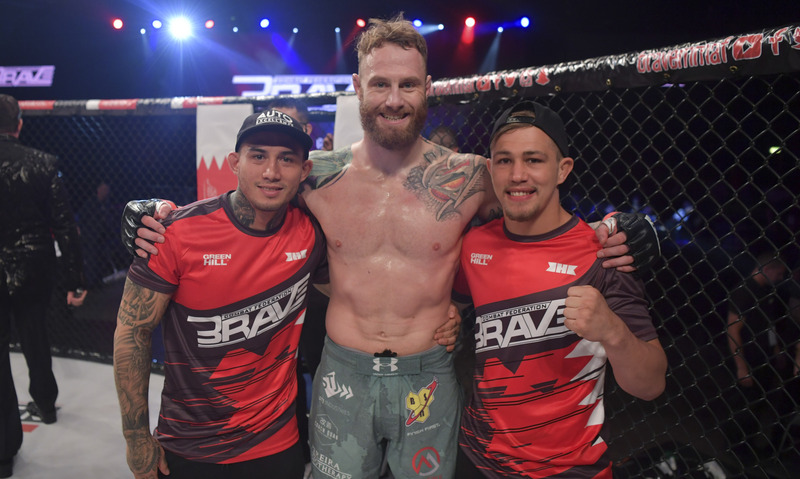 At “Brave 13: European Evolution,” Buys was the cornerman of Chad “Superman” Hanekom, 26, who also hails from Johannesburg. The latter defeated Dominic McConnell of Northern Ireland in the middleweight division. In the co-main event of “Brave 17,” Uloomi “Kratos” Karim Shaheen, 27, of Islamabad, Pakistan will compete in the bantamweight division against Jeremy “The Juggernaut” Pacatiw, 22, of Baguio City, Philippines. In the main event, Rodrigo Cavalheiro, 35, of Curitiba, Parana, Brazil and Abdoul “Sinistro” Abdouraguimov, 23, of Nantes, France, will compete in the welterweight division.